The world is full of digital content day by day and in knowing the audience is critical to writing any content. StoryBase is that companion who will help the users in their struggle to create more relevant, shareable content. 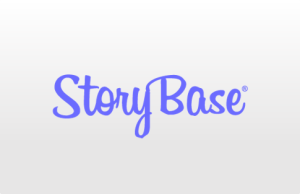 StoryBase is an easy-to-use resource which helps the users to create simple insights out of complex data. It frees you from unwanted and complex graphs and numbers and focuses only on the ideas that matter. It provides with the question, phrases, words and audience related to your search to frame an easily searchable and presentable content. StoryBase collects data from google, facebook, bing, yahoo, twitter and Wikipedia. The application has three versions, free, plus and pro. For exploring, testing and evaluating. The questions feature shows the user the most frequently asked question displaying the popularity on the question based on the locality. Knowing the most shared and frequent question allows the users to write their content answering the numerous questions. The sentences for the words is displayed based on the locality. The most popular phrases on the go to allow the users to brainstorm your content around the phrases. The words are the most important part of any content. The more the use of modern world the more attention the content gets. Search and know the most famous words related to your term. Knowing the audience is critical to frame any content. The users can know the type of audience interested in any content. The audience feature provides a demographic view of people interested in any article. The audience feature is available only for the paid account and not for a free account. The users can save their search results for future references. The users can add the results to favourites and export them as a CSV file. There are no mobile applications available for this request so far. The users can still use this in the mobile browsers. The application does integrate with any other applications or services. The application provides support through email and also allows the users to send a message to your email address. Easy to find big data. Can save the search and the favourites. The search results show big data based only on USA and Denmark data. Providing the bloggers, copywriters, content marketers and SEOs of all styles and sizes with the big data to make their content even stronger makes it stand out of the crowd. For more details, please visit StoryBase website.